Welcome to this week's Finance Fridays. Last week we were looking at the EU Referendum and by the time this is published the votes will be cast and the result declared. Whatever way the referendum goes one thing that has already been affected is the value of the pound against both the euro and US dollars. In the last couple of days there have been reports of currency exchanges running out of cash as travellers rush to lock in exchange rates before the result of the referendum is declared. It is thought that a vote to leave the EU could see the value of the pound to drop dramatically which would mean less euros for your money. No matter what the result is there are some basics you need to think about before jetting off. Check the currency – Britain has never joined the euro and there are many other countries in Europe which don't use it. There are 19 countries within the Eurozone that use the euro as their official currency. These are Austria, Belgium, Cyprus, Estonia, Finland, France, Germany, Greece, Ireland, Italy, Latvia, Lithuania, Luxembourg, Malta, the Netherlands, Portugal, Slovakia, Slovenia, and Spain. In addition to these countries four others - Andorra, Monaco, San Marino, and Vatican City – have secured a monetary agreement with the EU to use it. Albania, Armenia, Azerbaijan, Belarus, Bosnia and Herzegovina, Bulgaria, Croatia, Czech Republic, Denmark, Georgia, Hungry, Iceland, Kazakhstan, Lichtenstein, Macedonia, Moldova, Norway, Poland, Romania, Russia, Serbia,Sweden, Switzerland, Turkey and Ukraine do not use the euro and separate currencies will need to be purchased. Currency restrictions – Some countries do not let their currencies to be freely traded outside of the country. Popular holiday destinations with such restrictions are The Seychelles, Bahamas, Cape Verde, Costa Rica, Cuba, Gambia, Haiti, India, Maldives, Morocco, Nepal, Sri Lanka, Tanzania, and Venezuela. Check before you go what the restrictions are. Some many freely accept other currencies such as US Dollars or even UK Sterling so you may be better taking them instead. If you do have to buy currency once you reach a country then only buy small amounts at a time in case you don't get a chance to change it back before you leave. Also make sure you keep the receipt as some countries will only change money with one to prevent black market currency exchanges. Spread the cost – Even without the uncertainly of an EU Referendum the currency markets are subject to fluctuations. Over the next couple of days the currency markets will go crazy but they should start to settle after that. If you know you are going to need cash in the future spread the cost of buying your currency over several months to even out any fluctuations. Shop around – Check the rates and commissions on all the outlets available to you. These can be the Post Office, banks, travel agents, supermarkets, currency booths and even Marks and Spencer. Be aware that large sums of cash may need ordering in as well as less popular currencies. You should always be able to buy euros and US dollars easily. Whatever you do don't wait until you get to the airport. ferry or train terminal as these will have the most expensive rates. Credit cards – Using a credit card aboard means you usually don't have to pay a commission on the transaction. Do check with your provider that there are no hidden costs in using your credit card abroad. It's also a good idea to inform them you are going abroad so they don't flag overseas transactions as suspicious and block your card. I have found in the past the exchange rate to be very competitive but do be aware it will be the rate your credit card decides at the point of transaction so if you buy the same thing twice in a day it could cost different amounts once converted in pounds. One thing you should never do unless in a complete emergency is to take cash out of the ATM machine as this is classed as a cash advance and you will be charged a high rate of interest on it from the moment it is processed. Pre-paid cards – If you don't like the idea of using a credit or debit card abroad then look into pre-paid cards. They work a bit like a gift card in that you top it up with a specified amount but it has the convenience of it carrying a Mastercard or Visa logo on it. If the card is lost or stolen your losses will be limited to the amount left on the card or until you contact he provider to put a stop on the card. You will not be able to run up any debts on the cards. Do check for any costs involved in using the card. Some providers will charge a fee for each transaction. Travellers cheques – They many seem like an old-fashioned method but travellers cheques are still one of the safest methods to take money abroad. If they are lost or stolen you can report them missing and get a replacement. - if you can keep a note of the serial numbers. You buy your travellers cheques in the UK and then cash them when you want them when you reach your destination. You will need to find a suitable bank or foreign exchange service to be able cash your cheques. One drawback of travellers cheques is that they are usually only available in popular currencies such as US Dollars. How do you take currency abroad? Are you planning an overseas trip soon? If you want to join in with this week's Finance Fridays then add your link to the linky below. Any post concerning financial matters is allowed. Full details here. It doesn't have to be published today as you have until 23.55 on Tuesday 28th June 2016 to join in. We are headed to the USA this September. 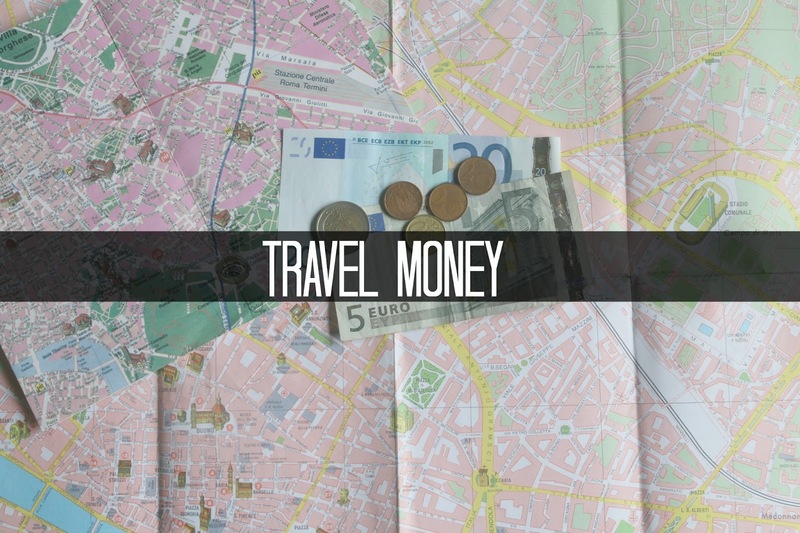 We use a pre-paid card, and are hoping the pound/dollar will go up again before we travel. Some good tips especially with the currency chaos we have now. We do tend to mainly use our credit card when we're away but it doesn't help to keep track of what we're spending.